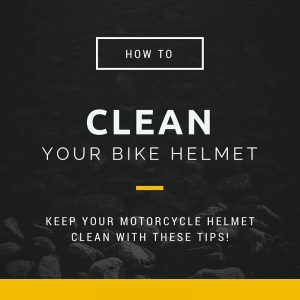 Learning how to clean a motorcycle helmet should be the top of your to do lists. Since this will allow your helmet to remain in good condition and working order and of course you will have likely paid good money for your helmet. Above all, your helmet has an important part to play in maintaining your good health and protection. Keeping the helmet in good condition is vital for not only protecting you in the event of a crash, but also from flying debris, bugs and protecting from noise pollution. If the helmet is not looked after well then the efficiency of protection from damaging noise will be less even with earplugs.